The 2017 Georgia Odyssey Calendar is finally coming together. We have finalized dates and locations. We have changed the North Georgia Tournament date and Location from the initial release due to conflicts with a large event. Sign up is available now for the NEW coaches workshops AND In depth Workshop. Spontaneous Workshop registration will open on October 1st. Remember, the spontaneous workshops have limited space and we cannot add any teams to a session once it is full. We suggest you sign up early to reserve your space now. A sneak Peak at the 2016-2017 Problems have been released. The synopsis offers a quick glance at what the problems will offer in the coming year. Be sure to check them out and start considering the possibilities now. Don’t be afraid to pick your favorites now! The full problems will be released in the fall so be sure to keep a look out for them around September 1st. The official release of the problems will be posted on the Odyssey of the Mind Facebook page when they are available. Teams must have a current membership in order to view the full problems. 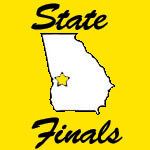 The State Finals Competition Schedule is now available to be viewed. Due to the complex nature of the schedule and many conflicts teams are having with other activities it is very possible the schedule may be altered some in the next week to adjust as best we can for any additional conflicts that may occur. Please explain the situation in detail with all pertinent information and we will do our best to address the scheduling conflict. We’ve finally gotten the spontaneous workshop dates and locations confirmed. Please check the calendar for the full listings of locations and dates for the spontaneous workshops. We will be opening registration for the Workshops in the next two weeks. An exact date will be determined later this week and published here along with the workshop registration page. On another note, we are still working on getting dates and locations taken care of for the rest of the workshops along with deadlines for this year. The dates for the 2015-2016 Georgia Odyssey of the Mind season are coming together. We are working on nailing down dates and locations for trainings, workshops, and finalizing all the deadlines still. We hope to have the full calendar finalized in the next few days and we have already got the important Tournament dates and locations available in the calendar.